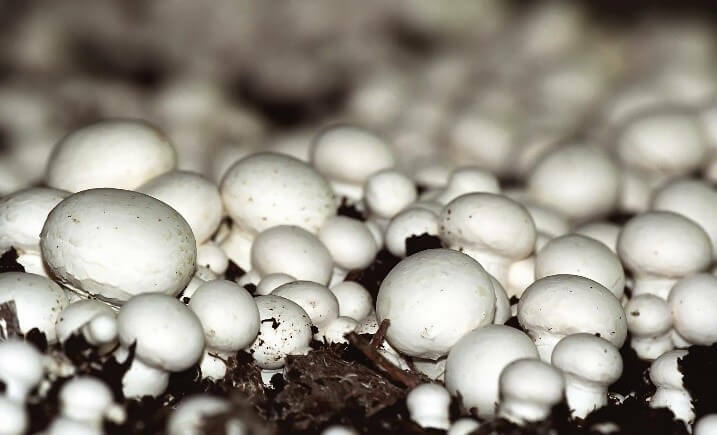 Starting a mushroom farming business has emerged as one of the most trendy businesses of modern day. Mushroom is a staple food for both vegetarians and non-vegetarians which has led to a huge demand for them. A massive number of people living in the United States include mushroom in their weekly diet, and hence growing mushrooms has emerged as a favorite thing for many people. Often, the budding entrepreneurs are seen to adopt small scale mushroom cultivation as a mode of earning and it has sure not disappointed. There are various aspects which needs to be taken care of for commercial mushroom cultivation business. However, to begin with, one has to make an appropriate mushroom business plan, have primary knowledge about the types of mushroom and thoroughly understand the profit margin. Preliminary knowledge about the types of mushrooms that can be grown, and the entire process of cultivation can be learnt from seminars or books. If these are not sufficient, look out for mushroom farming training courses near you and learn thoroughly about the same. On an average, mushroom cultivation profit margin is constantly on the rise for the last few years. As per the latest reports, mushroom cultivation has recorded a growth rate of 23.5 million pounds in the United States alone. Such high demands of the staple food, directly holds a high success rate in the market. As per the reports, the mushroom cultivation profit margin has been estimated to be $1.3 billion in the United States last year. Owing to such a great mushroom farming profitability, the business has emerged as one of the most sought-after business for many budding entrepreneurs. However, such a growth also means increased number of rivals. There are several steps in mushroom farming which every beginner should be well-aware of. Missing out on any of these steps will eventually lead to deteriorated success rate of the business, which is just not acceptable. Hence, here is a list of the steps essential for starting a mushroom farming business. The mushroom business plan needs considerable attention and should be planned in detail. Apart from the business strategies required for mushroom farming, one needs to understand how to build a mushroom growing house. The specific requirements of the house, shelves and the place of cultivation plays an important role in the success of the business. Apart from that, make a list of the utilities and the materials for mushroom cultivation and note down the nearest supplier for the same. Henceforth, make an estimate of the cost of starting a mushroom farm as well as the additional investment required for marketing. Among the various types of mushrooms that can be cultivated, begin with the oyster mushrooms as it can be easily grown without any hassle and require lesser maintenance than the others. Mushroom shed construction is the preliminary step while beginning mushroom farming. To start with, small scale commercial mushroom growing will need approximately 500 sq. ft. of area so as to grow around 12000 pounds of mushroom on an yearly basis. for temperature regulation of the shed. On an average, mushroom farming requires 15°C to 20°C and 80%- 90% of humidity. Apart from that, proper sanitation should also be taken care of. Mushroom farming cannot be started without spawn. Locate the nearest spawn suppliers and decide on a contract for uninterrupted supplies. However, for more economical ways, spawn can also be produced at the farm. There is readymade spawn inoculate available in the market which can be used for a better, cost-effective way of mushroom farming. Among the primary raw materials, the constituent of cellulose plays a significant role in mushroom farming. Any kind of agricultural waste can be used for cultivating a wide range of mushrooms. One can use straw from paddy, leftover maize millet stalks and leaves, wheat, sugarcane bases, jute, residue tea leaves, cotton bases, etc. The industrial wastes containing high amounts of lignin and cellulose can also be used. For e.g. tobacco waste, sawdust, coffee residue, etc. can also be used in the process of mushroom cultivation. Mushroom farming requires a series of step-by-step procedure which needs to be religiously followed. However, the process of mushroom cultivation is not very cumbersome. The procedure highly depends on the type of mushroom which is being cultivated. Packaging is an important part of mushroom cultivation business as it prepares the mushrooms for further procedures. The substrate previously prepared are thus subjected to composting and the boxes or bags are filled with the composted substrate. This is an important step in mushroom cultivation as it prepares the mushrooms for incubation. The packed mushrooms should be incubated in dark. Accordingly, while learning how to build a mushroom growing house, a cropped room should be built to cut off sunlight. Besides cutting off the sunlight, make sure you regulate temperature as well. The temperature is however different for different variety of mushroom cultivation. The fruiting of mushroom is a crucial process and needs due attention from the cultivators. It also determines the mushroom farming profitability, as better the yield, greater will be the profit. For this specific progression of mushroom farming, maintenance of optimum temperature is very crucial. Apart from that, 70%-80% humidity is also required at the time of fruiting of mushrooms. Mushroom cultivation also requires specific measurements to control pests and fleas. Where most of the economical farming measures use artificial pesticides, organic mushroom farming implements organic fertilizers. Harvesting of mushrooms is the next important step in the process of mushroom farming. Specific technique should be implemented while harvesting them. The correct time for harvesting is when the mushrooms have completely uncurled. This marks complete maturity and hence makes them ready to harvest, packed and sold in the market. To harvest them, you need to twist them from the end where they have grown. Twist as close to the ground as you can, as this will account to additional mushroom farming profitability. Mushroom cultivation strictly needs cleanliness and proper maintenance to ensure healthy growing of the mushrooms. These are extremely prone to contamination to germs, pathogens and diseases. Hence, if you are mushroom farming at home, make sure you properly clean the place and use necessary sterilizations. Besides, the use of pasteurized straw is highly advisable as these minimize the chances of contamination and are able to cut off bacteria build up. Proper sanitation facilities should also be arranged. After the cost of starting a mushroom farm has been settled, now it is time to invest in the materials for mushroom farming. Since pasteurized straw are advised to buy, you can easily get them from the suppliers at a cheaper rate than the market. The next thing is the spores. One can easily buy 100 plugs at an affordable rate of $20. These will comprise of a wide variety and types of mushroom. Therefore, the investment required for mushroom farming is quite affordable. If not, one can also apply for a loan from reputed banks. The harvested mushrooms should be sold off as quickly as possible. Cause the earlier they are sold, the fresher they will be. The nutritive content of the mushrooms will also be at their peak. Hence, this will bring the much-deserved profit for the mushrooms produced. The time of growth for mushrooms is highly variable and depends on the types of mushroom grown. For example, oyster mushrooms take about six weeks to mature until harvested. So, these should be sold off within one or two days to the nearest market. For selling off, decide on a contract with the local shopkeepers or grocery market for regular supplies of mushroom. Besides, you can also supply to the nearest shops and supermarkets for additional profit. Mushroom farming is quite productive if you know how to grow mushrooms. Besides, a preliminary knowledge should be attained for building up a proper farm for mushroom cultivation. However, one should not compromise on the hygiene of these products and the freshness of mushrooms should he given primary importance. So, make sure the environment for mushroom cultivation is free from contamination. If possible, arrange for certification tests to ensure quality, and see how fortune blesses you with luck and success!